Bank reconciliation is the process by which a person’s accounting records with respect to cash account is matched with the information of his bank statement. The main aim of the process is to find out the difference between these two records so as to keep the accounting records as appropriate as possible. The bank information encompass the record of all transactions carried under a person's account for a month. 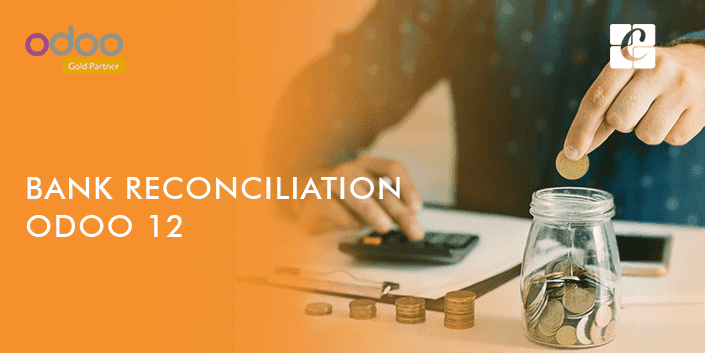 The reconciliation process should be carried out at regular intervals so as to ensure that a company’s cash record are correct, immune to fraudulent activities and also mitigation of problems with respect to bounced checks and overdraft fees. So now we know what bank reconciliation is, but making this process happen is not an easy task. To link the bank statement with your accounting, requires complex work arounds. You will be requiring all your invoices, payment details etc to carry forward the action. The process is very time consuming and any mistake in between, pulls everything to drain. 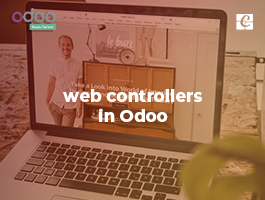 This is where Odoo comes into play. 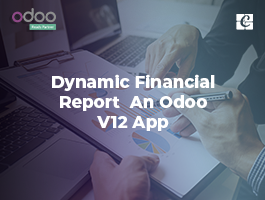 Odoo enables easy linking of your invoices and all other payment details with the bank statements without hardship. 1. Direct registering of payment with invoices. 2. Open invoices reconciled with bank statements. With respect to screenshot, I hereby explain the payment registration case. In the above image, we can see that a payment proof of 2100 euros issued to a customer ‘Smith and Co’ has been received. Now we can start with this invoice of 2100 euros. Since product is sold, payment is demanded immediately. A company accountant handles the bank statements only on weekends, correspondingly the invoice will be marked as paid. It is done so as to remember that the service with our customer can be started. Payment confirmation is send from the customer side, so payment registration can be done and the invoice can be marked as paid. In the screenshot above there is an option called register payment. 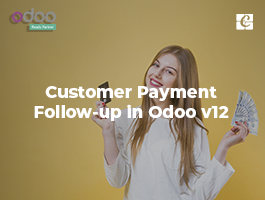 If we click the option, it is marked in Odoo software that the invoice is paid. The payment method, payment amount and payment date has to be specified here. Click on info > open payment. Now the invoice will be paid and the reconciliation process will be automatically done along with. Let’s take an example in this case too. Now consider the screenshot, we can see an issued invoice of 3000 euros for Smith and Co. Note that there are other invoices also seen in the screenshot, assume these invoices are open for other customers. Now look at the screenshot, we have received our bank statement. Invoice of Smith and Co and buzz has been paid here. Now we have to import or create bank statements. From the banks feed section, the documents has to be referred. There will be an option in the dashboard to reconcile X number of items (X denotes the number of items we want to reconcile), click on that. If the mentioned name of the partner, the amount entered etc. are correct, Odoo software automatically execute the reconciliation process. The screenshot shows the successful execution of reconciliation process. Now, suppose if some issues happen during the process, like the partner name missing out amount getting mismatched, then we have to make use of manual actions. Suppose if the partner name is not there in the bank statement, there you have to manually enter it. If down payment method is adapted, we have to check if it is right and then payments should be validated accordingly. There is an option to reconcile balanced items in the sheet. For that press CTRL-enter. 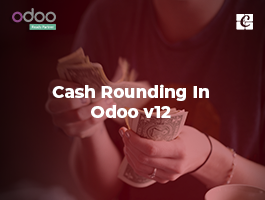 Now as we have gone through the use cases of Odoo 12 bank reconciliation, let’s see how to configure the model of entries. Open application dashboard > open your bank journal > select more > reconciliation model. The bank fees should be such that, we shall be able to book it very easily. Banks always deduct fees according to our balance, which will vary every month. Now a button label called bank fees has to be created. This is shown in the screenshot, here we must specify the amount type as percentage of balance and the amount to 100 percentage. 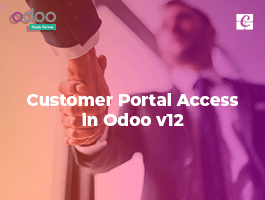 After doing this, the parameter will be set and this will make Odoo to take entire fee in to the account. After doing all this, save this. By importing the bank statement, you can register your payments which will be changed by payment of the bank fee. During the reconciliation process, select open balance. Then click on reconciliation model, here it is the bank fees. After doing this, you will instantly get the relevant data. To finish the process click on reconcile. 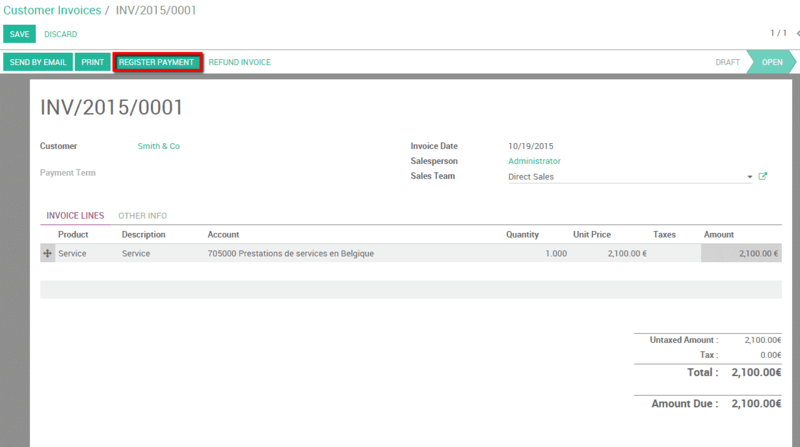 This is bank reconciliation in Odoo 12.